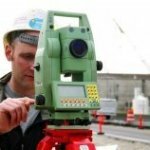 Bennett Land Surveying is comprised of an experienced team of professional BC Land Surveyors with over six decades of cumulative experience. Contact us to get these trusted BC Land Surveyors working on your residential, recreational and commercial needs in Vancouver, North Vancouver, Surrey, Squamish / Whistler, Kelowna, Gibsons / Sechelt and beyond. Patrick Korabek has been with Bennett Land Surveying Ltd for over 15 years and became a partner in early 2005. Since receiving his commission as a BC Land Surveyor in 2000, Patrick’s focus has been in the field of engineering and cadastral surveys within the Lower Mainland, ranging from small, single-family residential projects to large multi-unit strata property developments. 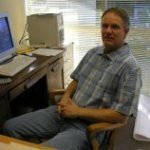 Mike Shaw has worked in the survey profession for over 35 years. He earned his diploma in Surveying Technology from BCIT in 1973 and was commissioned as a B.C. Land Surveyor in 1988. He has experience with a wide range of engineering, hydrographic and legal surveys. Mike applies his expertise to major land development projects that include subdivisions (conventional and air space). John Franko has been with Bennett Land Surveying Ltd for over 10 years and became a partner in early 2014. John spent the early part of his career surveying the steep and rocky terrain of the Sea to Sky. Since receiving his commission in 2011, he has managed jobs from 650 acre residential lots to the surveying of the Sea to Sky Gondola in Squamish. Apart from covering all aspects of the survey profession, if you have steep, rocky terrain, John can get the job done on time and on budget. Tyson Cotnam has been with Bennett Land Surveying since 2005, recently becoming a partner in 2014. Tyson received his commissions as a Canada Lands Surveyor in 2010 and joined the Association of BC Land Surveyors in 2011. His services and expertise include the subdivision and development processes in both rural and urban areas, ranging from small scale residential to large scale multi-phased air space-strata developments, Aboriginal surveys and utility rights of way. Michael Seitz has been involved in the surveying profession since 1976 and was commissioned with his fellow BC land surveyors in 1985. Throughout the years he has gained experience in managing topographic mapping surveys, mineral claim, utility right-of-way, construction, legal, and GPS control surveys. Mike has worked in remote areas of Canada, the U.S., Africa, Saudi Arabia, Venezuela and South America. Rob Adriaensen, BCLS, has been surveying since 1986 and with Bennett Land Surveying for over 26 years obtaining his commission in 2016. Rob has been involved with land development projects in the lower mainland which includes subdivisions, air space subdivisions, strata plans, rights of way and other legal surveys for residential, commercial and large multi-use strata projects. Rob has also worked on projects in the Canadian Arctic, BC Coast, Haida Gwaii and Venezuela. 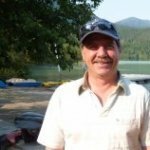 Javier Siu, BCLS, ALS P Eng, is a registered Professional British Columbia Land Surveyor, Alberta Land Surveyor and also a Professional Engineer with EGBC. During Mr. Siu’s 16 year career, he has been involved in various survey projects for various clients in the public and private sector. His past experience includes survey projects in the oil and gas industry as well as land development. He is currently managing Bennett Land Surveying Sunshine Coast office to provide all aspects of surveying services around Gibsons and Sechelt. Wayne is a professional surveyor with over 20 years of consulting experience; the majority being in the oil and gas industry. He has been involved in numerous projects in private land development, public infrastructure projects, legal surveys, industrial and commercial construction, metal and coal mine developments, and oil and gas exploration and development projects. 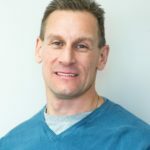 As the branch manager of the Kelowna office he is responsible for the overall performance and the day to day operations. As a project manager Wayne has successfully completed a wide range of survey projects in challenging locations, with tight timelines. All Bennett surveyors are ABCLS members.